The Watford Borough Roll of Honour is a hand written book thought to be designed by the Watford School of Art to remember the 830 service men who fought and died during the First World War. This webpage includes a searchable database of service men featured in the Borough Roll of Honour with biographies and their memorials. The bigoraphies will go online at roughly the time they died during and after the War. There are over 700 other Watford service men who do not feature in the Borough Roll of Honour who will also be included in the database. In November and December this year Watford Museum will be holding an exhibition alongside the website . The next exhibition will show the impact on Watford in 1918 and include the panels from the previous exhibitions. 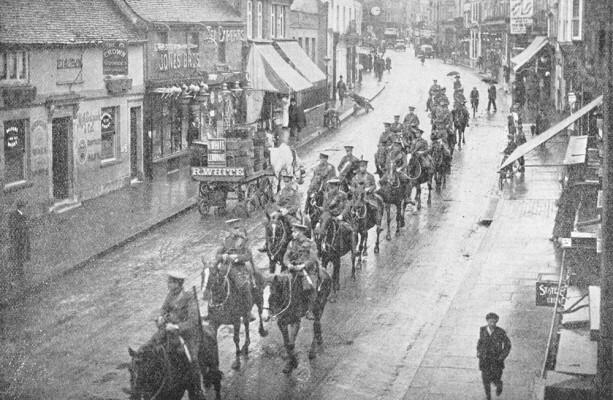 You can find out more about the commemorations in Watford on www.watfordwillremember.co.uk. This page was added on 21/07/2014. My grandfarther was living in watford 1915 and joined navy as boy scholar then, i.ve just found his name on field boy school scholars role on wall in watford museum. Initially he was like many at hms ganges, shore based training near harwich, but was on ship by 1918 near italy, have origional papers.